World of Warcraft Battle Chest. 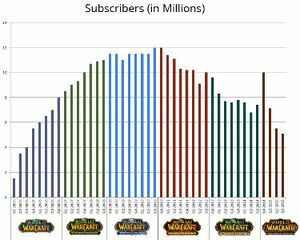 ↑ WORLD OF WARCRAFT® SUBSCRIBER BASE REACHES 12 MILLION WORLDWIDE. ↑ Guinness World Records Gamer's Edition - Records - PC Gaming. Retrieved on 2009-10-17. ↑ WoW Up to 7.4 Million Subscribers. Retrieved on 2014-10-14. ↑ WORLD OF WARCRAFT® SURPASSES 10 MILLION SUBSCRIBERS AS WARLORDS OF DRAENOR™ LAUNCH BEGINS. Retrieved on 2014-11-19. ↑ WoW Down to 7.1 Million Subscribers. Retrieved on 2015-05-06. ↑ World of Warcraft: Azeroth by the Numbers. Blizzard Entertainment (2014-01-28). ↑ 11.0 11.1 World of Warcraft: Game Manual, pages 6 & 7. 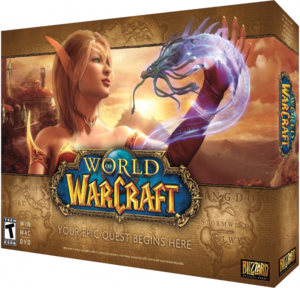 ↑ Web Archive - Fusion NET: Blizzard Entertainment Announces World of Warcraft. ↑ 13.0 13.1 Phillip Kolar. The Three Lives of Blizzard Entertainment. Polygon. Retrieved on 2014-10-04. 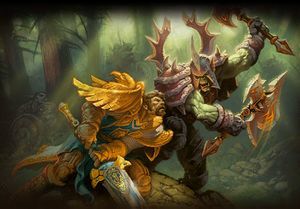 ↑ Blizzard on Revitalising World of Warcraft. ↑ Colin Campbell 2014-10-30. Blizzard is planning on World of Warcraft still being around in 2024. Polygon. Retrieved on 2014-10-30.
winehq.com The Official WineHQ website with info about World of Warcraft 4.2.x running with Wine.